Conshohocken, PA — Laura Silvoy used to face a simple task management board, layered with brightly colored post-it notes corresponding to the type of work at hand and organized into three columns: “To Do,” “Doing” and “Done.” She worked this way for some time—following the principles of workflow visualization method Kanban – until she decided to completely digitize, re-engineer, and improve her strategy. It’s this approach to her work, life – and the design of healthcare facilities – that makes Silvoy unique. “Being able to help improve a patient’s time in the healthcare system by making it a little bit better, more efficient, and involve a little less waiting seemed like a good way to use my talents and abilities,” Silvoy reflected of her decision to become a healthcare systems engineer. Promoted to the role of Director, Continuous Improvement for Array Advisors in June, Silvoy has taken the reins of some of the most culturally transformative projects at the Conshohocken, PA-headquartered firm. One of Silvoy’s most valued accomplishments is the development of a Lean practitioner course in which every Array team member participates. Beyond her impact on her colleagues, Silvoy has employed her talents in simulation modeling and workflow efficiency to transform medical centers. She recently participated in a transportation study for an academic medical center that was struggling to move patients from inpatient units to imaging and other diagnostic testing areas efficiently. “They had a specific transportation department whose role it was to move patients. Over time, the nursing units had stopped trusting in that system,” Silvoy explained. Hospital units began to organize their own internal patient transit — with some nurses even performing transport themselves – resulting in individual departments hiring their own transport teams. To study the issue, Silvoy and the Array Advisors team took part in a data collection and simulation modeling initiative. Increasingly, Silvoy and the Array Advisors team are proving that workflow efficiency and simulation modeling can solve complex problems for medical facilities and reduce – or eliminate – the need for architectural changes. Whether she’s streamlining patient intake, decreasing patient wait times or using predictive analytics to help physicians and clinical staff reach consensus on resource utilization, Silvoy’s contributions to delivering powerful outcomes in a complex industry get to the heart of Array’s integrated service approach. Silvoy’s thought leadership stems from her early involvement in the Society for Health Systems, a professional association that strives to improve lives through better healthcare delivery. 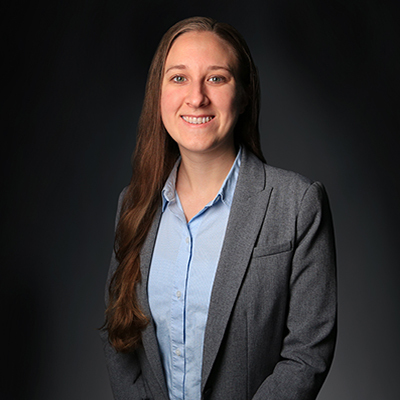 She first joined the organization’s young professionals group, but now sits on the board of directors, helping to lead the direction of the Society and grow the organization. She has shared her expertise with the group on several occasions, presenting at their annual Healthcare Systems Process Improvement Conference about Kanban, simulation modeling and process-led design. While many projects undertaken at Array have benefitted from Silvoy’s data-driven approach, a few notable institutions for which she’s delivered results include the Children’s Hospital of New York, Children’s National Medical Center, Columbia Orthopedics, Inspira Health and the Laser Spine Institute. Silvoy earned her Master of Engineering in Healthcare Systems Engineering, as well as a Bachelor of Arts in architecture from Lehigh University. Learn about Silvoy’s current work by browsing Array Advisors’ blog. Recognized as a leader in healthcare facility design, consulting and technology, Array offers knowledge-based, data-informed services, including planning, architecture, interior design, transformation and asset advisory services. Using Lean as a foundation for a unique process-led approach, our deliverables use data and technology to leverage real-time patient and real estate market trends required by today’s healthcare organizations. Our devotion to a healthcare-exclusive practice springs from our belief in the power of design and technology to improve patient outcomes, maximize operational efficiencies, and increase staff satisfaction. Laura Silvoy was promoted to the role of Director, Continuous Improvement at Array Advisors. She has led some of the most culturally transformative projects at the firm. Since Laura joined us, the way she approaches problems has helped to shape and drive the culture of collaboration, innovation, and process excellence we seek to create – and she lives and spreads those principles every day. Her new role provides a broader platform for her to continue to deliver innovative solutions for our clients, teams, and workplace.